So you went to the big corporate marketing seminar in Las Vegas and heard the motivational speaker tell you social media was the golden path to success. You rushed home to Riverside, CA. and created a Facebook account and waited for the money to roll in… and waited… and waited… and waited. You know you heard him right… even drew big circle around it in your notepad… So why isn’t it working? Precision Sign and Graphics knows that while there are many paths to success the same equation doesn’t work for every business in the Riverside, CA. area. Careful analysis and education is necessary to make sure that you are properly utilizing the tools that are available to help grow your business. In this article we’re going to look at social media, its advantages and whether or not it’s a good application to help you grow your business in Riverside, CA. Small business consultant and staff writer, Rick Brewer, shares some insights on social media in relationship to business. 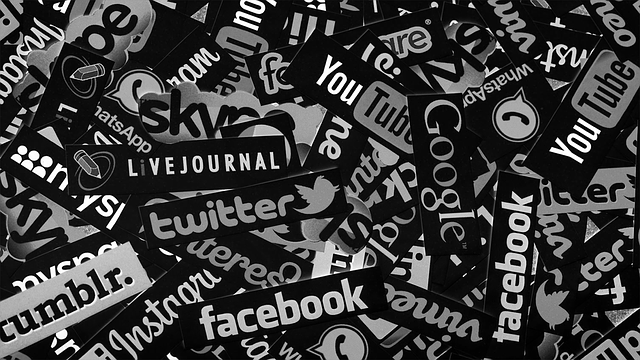 “Social media needs to be… well, social. Facebook, twitter, instagram and others were never developed as a business level software but rather a social medium for individuals to express themselves. When businesses create social media pages and then post dry, boring day-to-day information; who’s going to like and share that? If you’re going to use social media to help your business grow you need to utilize the medium as it was designed, to be socially engaging. Use thought-provoking images, controversial topics, ask questions that draws a response. This may sound like things that you wouldn’t expect to see on a business page, but again social media wasn’t designed to be about your business! Should I have a social media account, even if I don’t use it? No. That’s like saying “should I buy a Mustang and not drive it?”. When dealing with social media in the Riverside, CA. area, at one time, search engines used the inbound/outbound links as bonus for a website; now if you have a social media account and do not utilize it at least once every 30 days… It will count against your website score. In this particular case, if you are not going to use your social media account it is better not to have one at all. If you use Facebook and not twitter, link them or just use one. If you like Instagram, but hate Facebook, link them or just use one. How does social media work with search engine optimization? Social media is an avenue whereby you can increase the inbound traffic to your website, thereby making your website more popular. Popularity for search engine optimization is the highest ranking criteria for your website. You can have the worst website on the Internet but if you have more people visiting your website then your competitors; then you’ll probably be number one. Google’s originating algorithm was based solely on popularity and all relative algorithms since play from that base of popularity. When utilizing social media in the Riverside, CA. area to help engage a larger audience it can be a big boost to the popularity of your site. For example: websites don’t just show up on somebody computer, but social media posts do. If there is a post that Facebook, twitter or instagram think that your readers might be interested in… they post it on their wall. If your page is relative to the searches that they have been making, they will recommend it to the viewer. In this sense, social media will push popular pages and posts out for you, essentially drawing additional viewers and traffic to your website. You have to work it baby, work it! This is perhaps where the social media rub comes in. They’re useless if not used. If you want your social media page to grow in users you must be inviting, posting, sharing, engaging, inviting, posting, sharing, engaging, inviting, posting, sharing, engaging… See the point? Social media marketing companies in the Riverside, CA. area will spend, on behalf of their clients, upwards of 15 to 25 hours per week on startup social media pages. After 90 days they can safely cut that back to around 10 hours per week, eventually stabilizing it to five hours per week after 6 months. Most social media marketing companies that utilize this formula have been known to attract upwards of 20,000 additional hits per week to their clients account. In search engine numbers that’s huge. You can achieve the same level of success as the social media marketing companies however, it will take work. It is well worth the investment of time to learn the in’s and out’s of social media and how it can help direct traffic to your website. While it is very easy, it is time-consuming. This is the big question of the day. If you have a retail aspect to your business, then yes; social media is well worth the time. If you do not have a retail aspect to your business, it would be helpful to have it, but certainly not a requirement. For example: if you have a large commercial equipment rental company and you do not work in a retail market, your demographic is already so isolated that social media would attract visibility from individuals that have no use for your services. Social media is one of the easier ways to help attract additional visits to your website but it is also one of the more time-consuming tactics. The big perk… It’s FREE! Precision Sign and Graphics is pleased to serve the Riverside, CA. area. It is our goal to help every small business grow through our informative articles and information as well as through professional creation of attention grabbing graphics, signs, vehicle wraps and more.